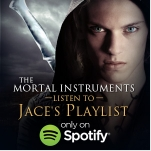 The Release of The Mortal Intstruments: City of Bones draws near, and Republic Records has released playlists for Jace, Valentine and Simon on Spotify to celebrate! Check out the playlists below! Tell us which playlist is your favorite in the comments! 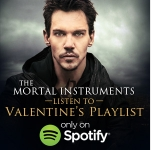 Am I the only one who thought Valentine listened to classic music? His playlist just doesn’t match him to me… Idk.